This weekend we FINALLY had a weekend of glorious weather that justified being outside for every second I could manage it. 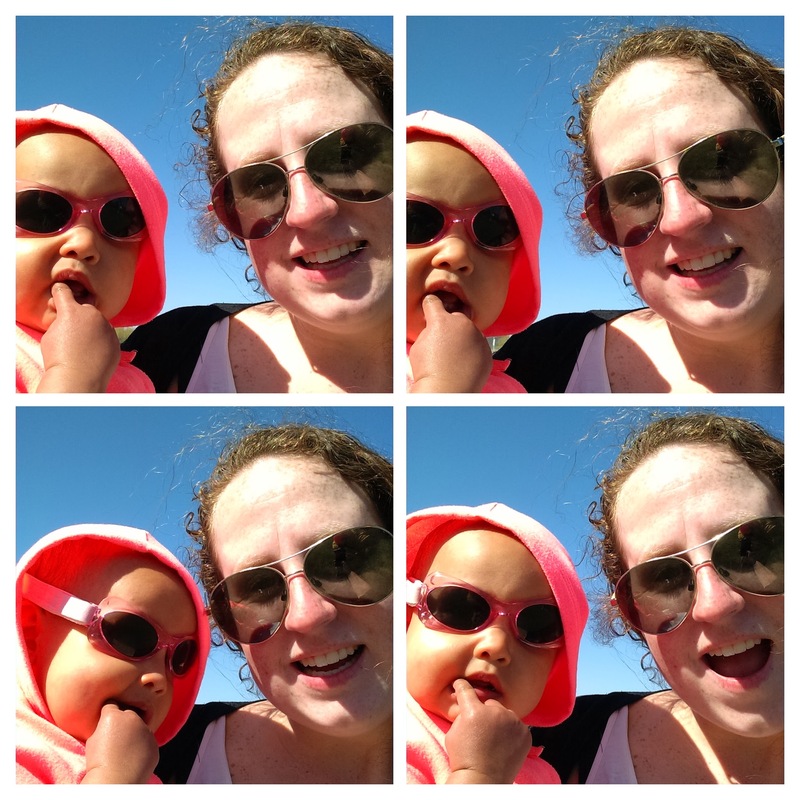 I had been s t r u g g l i n g with cabin fever this winter, and it was only exacerbated as we started getting nicer weather – on the days when I had to go to the office. The days I was home it stayed chilly and rainy and we stayed stuck in the house. Finally being able to get out this weekend, I was in my glory. Friday, we met my former roommate and forever bff at the beach / bay for a nice long walk.. We had a good chat about life, the girls threw in their two cents whenever they felt the need, and we all enjoyed the sunshine. When we got home it wasn’t quite time for a nap yet (since they had slept in the car to AND from our walk), so we posted up out in the front yard for a mini picnic and playtime. 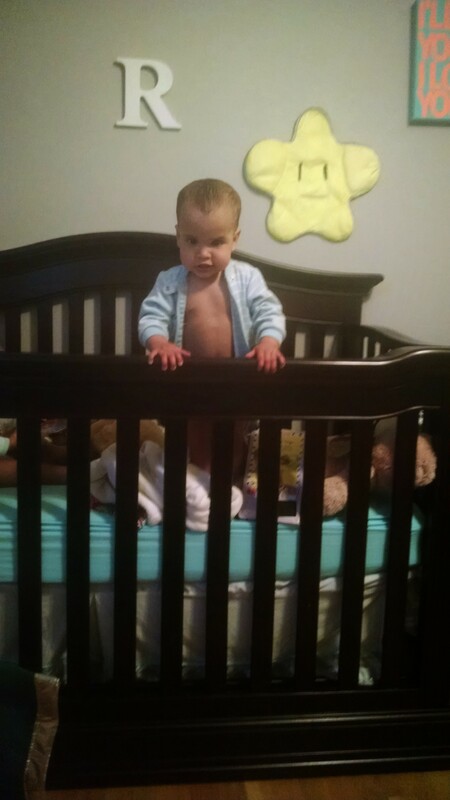 Yes, that is Maddy, standing up in the crib. She pulled herself up with no help at all from me – from a sitting position to standing, all by her own upper body strength. She wasn’t able to repeat the feat when I put in alone in her own crib to film it for BB, and she still hasn’t shown the ability to get from a laying down position to a sitting position on her own, but still. Crib mattresses are being dropped this week for sure. But even that was just the precursor to the real fun of the weekend. Our first trip to the park! 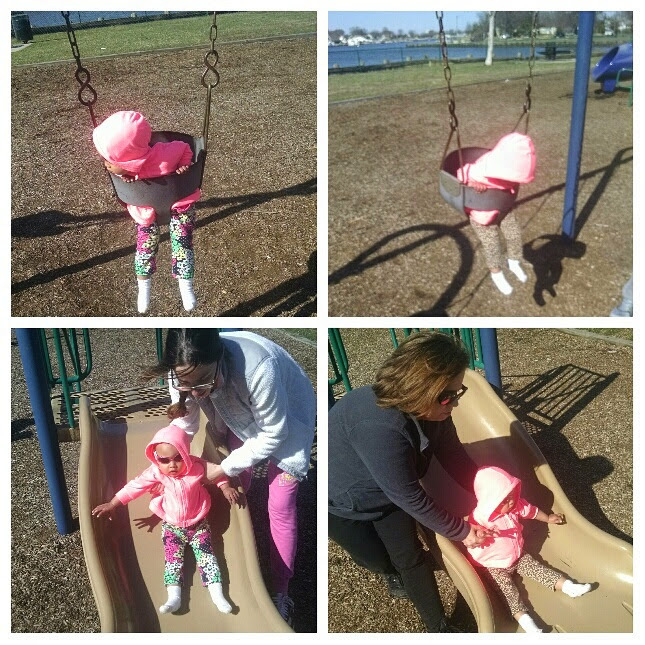 The girls loved it, of course – they are still too small to run around and play on their own, but they loved the swings. They were suspicious of the slide. 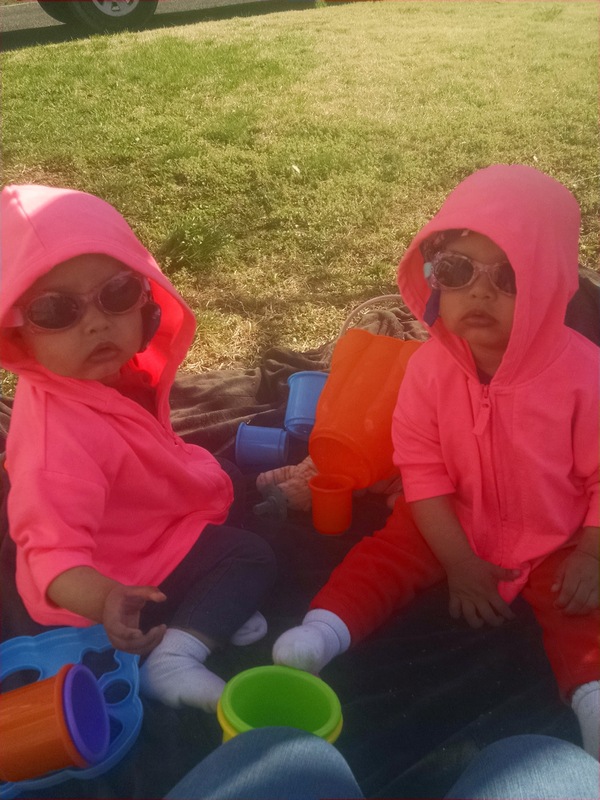 Of course, their favorite part was being out in the sunshine and able to stare at, and judge, all the other people daring to share the park with us. Grammy is up from NC! So glad she was able to share their first trip to the park! Rosy loves taking selfies with me. Actually, Rosy just loves selfies. She loves looking at herself. Daddy and Maddy had quite a serious conversation about the right way to act at the park. I don’t know if she understood she’s supposed to be having fun, not judging everyone around her. It’s important to stretch after working out. Even if your workout was mostly just making faces. Seriously, I think this may have been my favorite day of their lives so far. There was very little freaking out and just a whole lot of having fun. If every day could be like this I would be the happiest momma in the world. 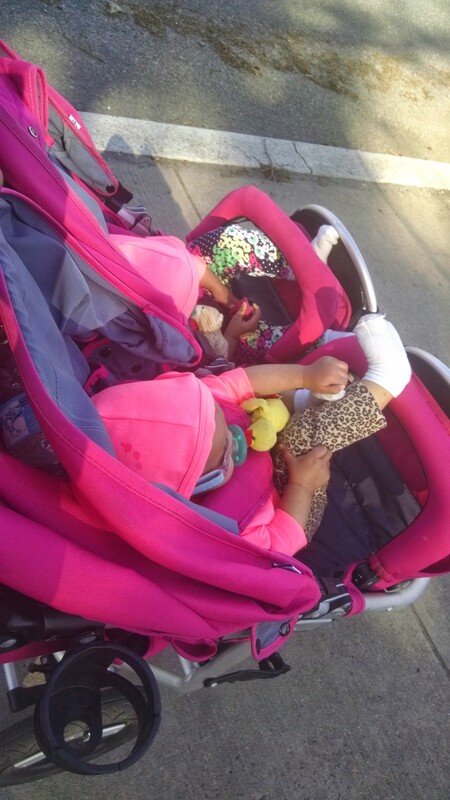 This entry was posted in Bebes and tagged Babies, Essay, Family, Personal. Bookmark the permalink.